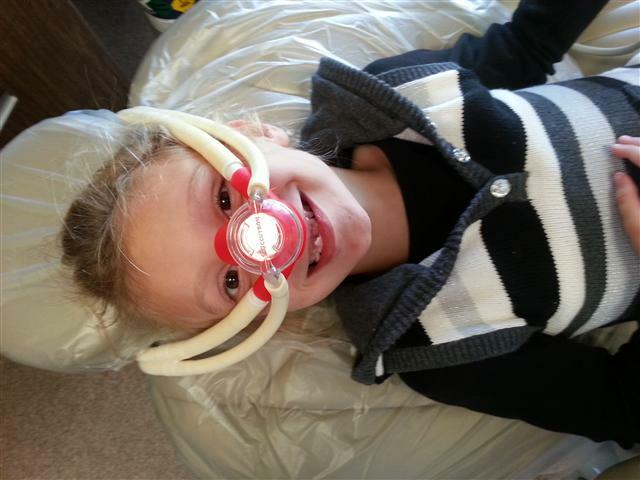 You have probably heard of laughing gas which is also known as Nitrous Oxide. It is the combination of the gases oxygen and nitrogen. It has been used safely for over two centuries. This type of sedation allows the patient to remain calm without the nervousness and edginess that is sometimes associated with going to the dentist. Laughing gas diminishes fear and anxiety. Also, it can benefit patients who have strong gag reflex. Laughing gas can be felt almost immediately upon administration. It is tolerated very well by most all of the patients who receive it. The result is a very calm and uplifted feeling or state of being. It can be reversed quickly, and it is very easy to be given by the dental professional. Nitrous oxide is administered to the patient via a mask over the nose since it is a gas. You will notice something similar to a little tingling sensation in the arms and legs that can be described as what it feels like when your arms or legs are “asleep.” Patients report that they are “floating”. Because you will feel less pain and you feel carefree, you, the patient, will feel as though time moves rather quickly. You will be able to communicate and move freely, yet you may feel as though you are in a waking dream state. After you are comfortable on the laughing gas Dr. Nugent will use local anesthesia to completely numb you mouth so that you feel no pain during the dental procedure. Laughing gas has very minor anesthesia effects and is not used as the only anesthetic. Dr. Nugent pulled two baby teeth on his daughter and used Laughing Gas. Before your visit, you want to make sure that you do not eat or drink anything a couple of hours before your appointment. This is important because sometimes vomiting has occurred in some patients who had eaten before having laughing gas administered. Because not everyone has the same medical history or problems, Nitrous Oxide may not be the type of gas that you will tolerate well. If you have a high anxiety level, you have some congestion due to a cold, sinus or allergy, or if you have an aversion to having your mouth covered; this may not be the suitable treatment for you. Dr. Nugent will review you sedation options and decide if laughing gas is right for you. 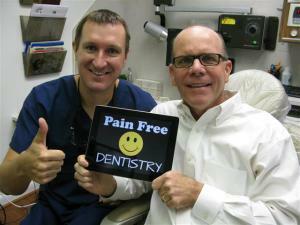 Dr. Michael Nugent has been a leader in dental sedation for over ten years. For many people fear and anxiety stop people from receiving the dental care they need. 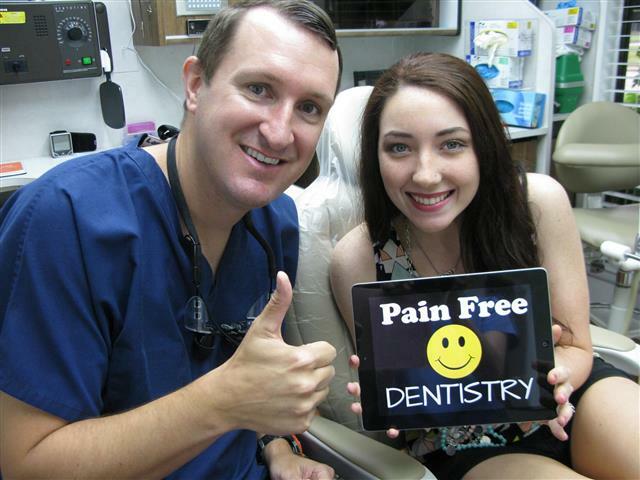 Dr. Nugent can utilize simple nitrous oxide or can use more powerful pills to deliver anxiety and pain free dentistry. Dr. Nugent knows the hardest part for patients is the initial phone call and first visit to the office. You will be treated with respect and compassion. Dental fear and anxiety is extremely common. Dr. Nugent will work with you to determine the level of dental sedation that will work best for you. Visit us at 3421 Burke Rd Ste A, Pasadena, Texas 77504. Call our office at 713-941-8261 to see how dental sedation can work for you. 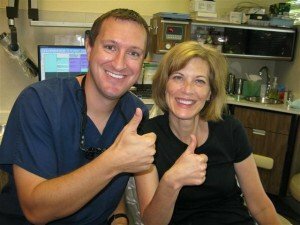 See why residents from Pasadena and Deer Park choose Dr. Nugent for their dental care.